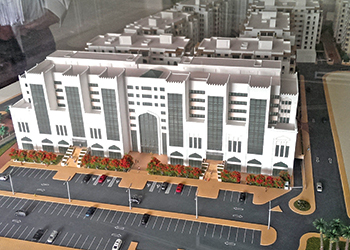 The Pasi headquarters building ... a key ongoing project in Oman. Reynaers Middle East is celebrating its 10th year of success. Having started as a little-known company in the region, the company has now grown into a much sought-after brand. Celebrating its 10th anniversary this year, Reynaers Middle East says it has been a successful journey from being a relatively unknown brand in the Gulf to becoming an acknowledged industry leader with a strong presence across the Middle East and North Africa (Mena) region. 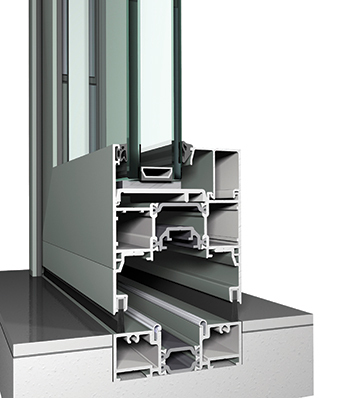 The company has in the last several years introduced many innovative systems for windows and doors, curtain-walling, sliding systems designed by its Belgian parent company, thereby creating a niche for itself especially in the projects sector. “It has been a challenging yet fruitful journey so far,” says Ali Khalaf, the company’s managing director, who brought the brand to the region. “The idea of introducing Reynaers to the Middle East was conceived in 2002 when I was visiting a trade fair in Paris (France). The initial contact with the representatives of Reynaers Aluminium revealed an innovative organisation that offered very high quality products and services coupled with a strong European brand presence,” explains Khalaf. Reynaers Middle East’s operations started in 2004 with its headquarters based in Bahrain. Like any new start-up, it faced its fair share of challenges – the primary challenge being to convince the Reynaers top management in Belgium about the true potential of doing business in the Middle East. Other key challenges included competing with long established brands that had a virtual monopoly in the region’s market, according to Khalaf. “And although it has taken a while to overcome some of the hurdles, 10 years down the road Reynaers boasts a diverse and talented workforce of 50 team members that has grown 500 per cent since 2007,” he points out. Reynaers’ first project was the Ajman University in the UAE in 2004, where it supplied 10 tonnes of aluminium. “This in fact was a motivating milestone for us and since then there has been no looking back. Each year, the number of projects executed surpassed that undertaken in the previous year. 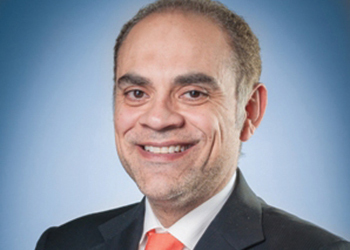 From 2004 to date, most of the projects supplied to vary distinctly in the kind of systems provided and the amount of aluminium installed,” says Khalaf. Some of the projects undertaken in Bahrain include the recently opened Four Seasons Hotel at Bahrain Bay, the prestigious Tala Islands project, Ruf car showroom, Era and Platinum towers and the Ministry of Electricity building, to name just a few. The Sports City Tower, Qatar National Convention Centre, a Qatar Real Estate Investment Company (QREIC) project and Retaaj Rayyan Hotel are some notable projects undertaken in Qatar. Khalaf ... challenging yet fruitful journey. The UAE market, which has being the most active and predominantly witnessing a construction boom, saw Reynaers Middle East undertaking one of its most ambitious projects in the form of the Ferrari theme park project. The Etihad Terminal, Bayside Residence, the Ritz-Carlton Hotel and the recently completed high-rise Hind Tower are among the many special projects in the UAE that the company has added to its portfolio. Saudi Arabia has also proved to be a very important arena for marketing Reynaers products. Some of its prestigious projects there include the waterfront hotel Bay La Sun at King Abdullah Economic City (KAEC) and Bamaroof Tower. “The Kuwait market, on the other hand, has proved to be an excellent mix of both commercial and residential projects with the bulk of supply catering to end users like home and villa owners,” he points out. And although Oman is a smaller territory for the sale of aluminium systems, the company nevertheless witnessed demand for its international quality products there, having supplied systems to projects for Oman National Engineering and Investment Company (ONEIC) and LNG Qalhat. Among its important ongoing projects is the recently acquired Pasi (Public Authority for Social Insurance) headquarters building. “While we expected to achieve sales in the GCC region, we however, managed to extend our footprint even further to other high potential countries in the wider region, like Egypt, Lebanon and Jordan,” Khalaf comments. Several projects have now been executed in Egypt, where Reynaers set up a branch office (in Cairo) in 2012. The Cairo Stadium, Kids Museum (formerly Suzzane Mubarak Museum), Cairo International Convention Centre, Centurion Building and Mercedes showroom are among some of the prominent projects in Egypt where Reynaers systems have been installed. Similarly, Reynaers systems have been installed at notable projects such as the Majestic tower and El Telleh building in Lebanon and Mercedes showroom in Jordan. During the past years, Reynaers Middle East has introduced several systems to the region including the concept folding CF 68 and CF 77, Hi Finity (the sliding door with an infinite view), Sensity (the aluwood variant) and the luxury handle called Purity. Most of these systems have gained ground in the market for their unique features and performance, according to Khalaf. A cross-section of a CF 77 system. “However, our top-selling system in the projects business remains the curtain-walling solutions since the Middle East is a market of high-rise towers and commercial buildings. Additionally, several of the windows, doors and sliding systems like ES 50, CS 77, CS 59-Pa, CP 50, CP 130, CP 155 are all in high demand in the region,” he points out. Looking forward, the company’s current strategy is to diversify its Middle East portfolio through a new business model catering to the highly potential residential sector in the region. “Due to the rising population and economic growth, the housing needs are ever growing and Reynaers aims to tap this sector through its recently launched business unit called Reynaers at Home,” says Khalaf. Reynaers at Home is backed by a fabrication unit and warehouse facility in Dammam, Saudi Arabia. This business arm is managed by Reynaers Middle East but will have its own brand identity and brand value. This model has already been received well in the region, he says. Reynaers will also take part in the renowned Big 5 construction fair held every year at the Dubai World Trade Centre in Dubai. Khalaf says the success of last year’s event has prompted it to participate this year as well. The company intends to showcase the full elements of Reynaers’ most sought-after products at the event. Its objective is to facilitate stakeholders like fabricators, consultants, architects and contractors and even end-users, who prefer to experience the systems first hand in order to gauge the quality and performance of various systems, he says. Reynaers Middle East is part of Reynaers Aluminium, a leading European provider of innovative and sustainable architectural aluminium solutions. These include a wide variety of window and door systems, curtain-walling, sliding systems, sun screening, conservatories, skylights, screens and systems to incorporate blinds and ventilation grids. Established in 1965 and with its headquarters in Duffel, Belgium, Reynaers Aluminium has offices in more than 30 countries worldwide.